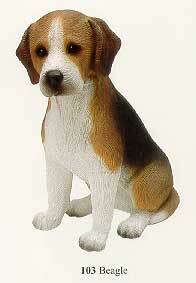 Pet gifts for people and animals for dog, puppy, cat, horse, bird, wildlife, farm animals, even fish gifts! 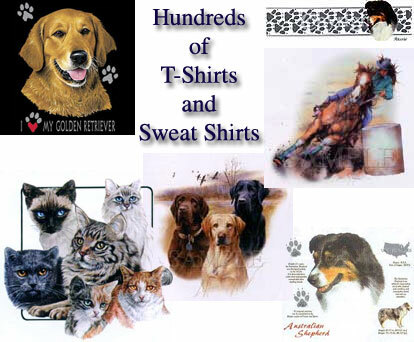 We have wallpaper borders, T-shirts, sweat shirts, jewelry, Doogies, cards, plush toys, just too much to list! 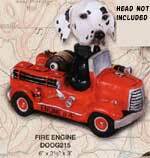 Doogies Make great Gifts - Easy to exchange heads with bodies. 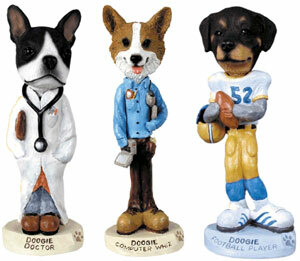 Over 200 dog breeds to choose from and 88 figurines with professional, sport, musician and destination themes. The World's Most Huggable 13 inch Golden Retriever plush toy. Horse and Cat Jewelry too.